This isn't an easy question as Taekwondo is many things to many people. Firstly, it is a Korean martial art. Developed by General Choi Hong Hi and others in the 1940s-60s, Taekwondo was born out of older martial arts from Korea and other parts of Asia. Taekwondo was a pillar of hope to the Korean people after and during historical times of oppression, many of which left civilians feeling defenseless and vulnerable. Martial arts gave them the protection that they needed in a form that no one could steal away: their feet and hands. The values of Taekwondo and the community it builds unite people of all shapes and sizes. From children in preschool to parents of children off to college, Taekwondo instills respect for others, confidence, and control of self while allowing a productive release of energy, aka a good sweaty workout. Ever since its founding, Taekwondo has always been a safe place and second home for the spirit. On the physical side, Taekwondo is a hard martial art, done while standing with lots of kicking and punching. At West Coast Taekwondo, we practice traditional Chang-Hun style, which might look like a cross between Karate and Kukkiwon style Taekwondo, seen at the Olympics. The word Taekwondo is comprised of three Korean words: "Tae" meaning foot, "Kwon" meaning hand or fist, and "do" meaning way. So TaeKwonDo literally means "the foot-fist way." It is a blending of the upper and lower body to defend oneself. We would like to take this opportunity to "Thank you", parents for the privilege of having your children attend West Coast Taekwondo. Without your love, support and encouragement for them, their goals and successes in TKD would be impossible to accomplish. As owners and chief instructors of this school we value the tenets and live the example for our students. Whether as a parent, teacher, instructor, student or friend - there is no greater impact on a persons life (no matter the age) than your integrity of Character! Walk the Talk. We would like to take this opportunity to "Thank you", parents for the privilege of having your children attend West Coast TKD. Without your love, support, and encouragement for them, their goals and successes in TKD would be impossible to accomplish. As owners of this school we value the tenets and live the example for our students. Whether as a parent, teacher, instructor, student, or friend - there is no greater impact on a person's life (no matter the age) than your Integrity of Character! Walk the Talk. When we opened WCTKD in 1990, we were nervous but excited. We had a vision and a heartfelt desire to make a positive difference for children, teens, and adults, using our love of the physical sport combined with the tenets that we believe in and live by to this day. There is so much more to TKD than kicking and punching - the discipline, character qualities, balance, coordination, goals, rewards earned, empathy, compassion, accountability, responsiblity, etc. etc. These are the self esteem builders that last for a lifetime. They are the roadmaps to success in family, work, marriage, friends, community, and church. These are the qualitites (as tough as the work is or the lessons learned) that strengthen their lives and enable them to touch others in a positive way. THIS IS WHY WE TEACH TKD! Our school is definitely known for having a high standard of earning stripes and belt ranks. All goals have to have a standard of accountabliity so as to be earned. But with high standards must come discernment. 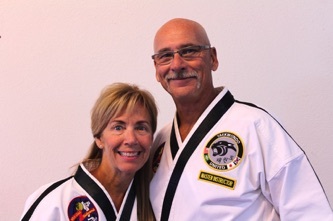 We had been training for five years before we opened WCTKD. From that experience we learned that all people (kids or adults) are endowed with special gifts (attributes, skills; physically and mentally) and because of this fact we decided from the beginning of opening the school the #1 priority of our teaching would be with a discerning heart and that there would be no favorites. "ALL" students would be our favorites and we would never compare them to another student during testing, but stay true to evaluating each one by their effort, abilities, attitude, commitment, heart - as well as the standard of the technique. The wisdom we have learned through our experience has taught us that "People don't care about how much you know, until they know how much you care." Discernment in leadership is essential to be able to judge fairly that high standard of each individual student. "The greatest achievements are those that benefit others." Courtesy - The showing of politeness in one's attitude and behavior toward others. Integrity - The quality of being honest and having strong moral principles. Perseverance - Steadfastness in doing something despite difficulty or delay in achieving success. Self-Control - The ability to control one's body and mind, especially in difficult situations. Indomitable Spirit - The courage, or inner quality / nature of a person that is impossible to subdue or defeat. What is West Coast Taekwondo? West Coast Taekwondo is a member of a national organization with member schools across the United States. All the schools adhere to the same principles, standards, and procedures which guide the way the schools teach, promote students in rank, and project their image and reputation within the community. Click HERE for more information. How old does a child need to be to start Taekwondo? It depends on the child. Many five-year-olds demonstrate the maturity to pay attention during a 35-minute class and follow instructions well. On the other hand, some kids who are much older behave in such a way that shows they do not have the same maturity. It has less to do with physical ability and age than it does with willingness to try hard. That's one of the reasons we encourage everyone to try a free class first. And it's also why we added the Little Dragons program for ages 4-5. How many classes should I attend each week? Students are allowed to attend any/all classes for their age and belt each week, but we recommend a mimimum of 2-3 classes each week for the best results. Setting a schedule and being consistent is important. It is better to attend 2 classes every week than it is to miss a week or two and try to make it up with 6 classes in one week. Can I just pick class times that work for me? Our class schedule is designed to be flexible. Every student will have a class they can attend four days a week. That way, as your schedule changes, we will still be available to you. We don't pick which days you come - you do! Should students practice at home? There's a difference between a student practicing their form and/or one-steps at home in a safe space and trying to spar, punch and kick family members, friends and the furniture. Students should never spar outside the school or perform martial arts techniques that could hurt themselves or others (or your furniture). And there's a difference between a student deciding on their own to practice their form and parents forcing kids to do their form over and over, or worse, trying to teach their kids based on what they've seen from the lobby. Parents, we know how tempting it can be to watch class, take notes and then try to "help" your child at home, especially If you feel they're not learning as quickly as other students. But that Is one of the fastest ways to kill your child's desire to learn martial arts. As long as students are attending 2-3 classes a week consistently, at the beginner level, there is no need for additional practice at home. At the higher ranks, especially Black Belt level, students are highly encouraged to practice their form (and old forms to work toward earning their instructor collar) at home In addition to participating in class at least 3 times a week. We do not want students to injure themselves or a friend in an attempt to demonstrate kicks and punches they have learned in class. Breaking wood is never to be done outside of the school until the student is a senior blue belt and both the student and parent/guardians have been taught proper technique. And, just in case you think it would be a great idea to have our instructors babysit or hang out with your child, so they can help them with their form outside of the school, that's one of the fastest ways for our instructors to lose their teaching collar. How long does it take to become a Black Belt? It is mathematically possible to become a Black Belt in about 2 1/2 to 3 years. However, it takes most people longer to attain that rank. But remember, Black Belt is just the beginning, not the end, of serious training. Black Belt indicates that the wearer is a master of the basics and is now a serious student of the art. The "average" person will never get a Black Belt... a Black Belt is not "average," but someone who has learned perseverance, dedication, and indomitable spirit to go the extra mile when others would quit. Testing is a process where we evaluate the skills of the student to determine whether they are ready to progress to the next level of training. What is expected of students depends on the rank, age and physical ability of the student. What is required to pass testing increases dramatically as a student increases in rank. Little Dragons and White through 2nd Degree Senior Black Belt have the chance to progress in rank at one of our in school testings that happen every 2 months. Once a student has attained their black belt, they have a Qualification Testing every 2 months. Upon reaching the minimum required waiting time, the student can then test for the next rank. If a student does not pass testing, you do not pay again to have them retest for the same rank. Each martial arts student is issued an official West Coast Taekwondo Uniform upon enrollment. Our official uniform consists of dobok (uniform) top and bottom, a small Taekwondo United patch that goes over the heart, a large Taekwondo United patch that goes on the back, and a small school patch that goes opposite the other small patch. On Saturday only, all martial arts students have a choice to wear either their full uniform or their uniform pants with a West Coast Taekwondo T-shirt (or any other martial arts T-Shirt) and their belt. Jewelry, including earrings, necklaces, watches and bracelets are not to be worn during class, testings or tournaments because they can injure you or your workout partners. What do the instructors expect from the students? We expect our students to give their best effort. Technique at the early stages of training Is not as important as a positive attitude. If a student tries hard, is respectful and has a good attitude, they will develop better technique over time because they are listening and learning. How do the students earn colored "stripes" in class? Each stripe is earned in class for achieving a short term goal that breaks up the requirements for advancement from one belt to the next. At the higher ranks it may take longer to earn certain stripes because the form and other skills are more challenging. What is sparring gear and why do I need it? Sparring gear allows us to practice the techniques we have learned in our class in a safe environment. By putting on this gear, we can practice speed, power, timing, and distance without hurting other people. Only red, TU branded sparring gear is allowed. Will my child become violent? No! Your child will learn self-defense and fighting skills, but more importantly, your child will learn confidence, respect, and self-control. Our students learn how to avoid fighting.